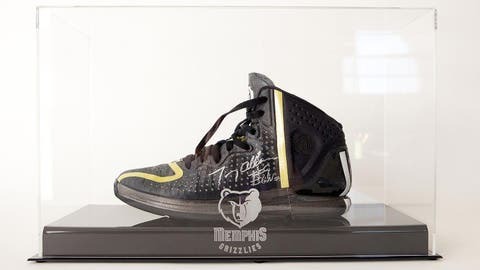 Tony Allen's shoe is up for auction on eBay. Remember last month when Memphis’ Tony Allen kicked Chris Paul in the face? Well, you can now buy that shoe that brought the pain, as it’s up for auction on eBay. As of this writing, the auction has had 31 bids and is up to $2,325.